The 7-inch brace height is forgiving and will be appreciated by less experienced shooters. The bow, even when set at 70 pounds, draws with a silky smoothness, and transition to letoff is super smooth. The newest member of the Edge line of Diamond bows has arrived, and it’s a beauty. The Edge SB-1 comes ready with a R.A.K. custom sight (mine was an Apex Gear three-pin), Octane Hostage Max rest, 5-inch Octane stabilizer, Octane Deadlock Lite quiver, comfort wrist sling, a carbon peep and a BCY string loop. But this impressive out-of-the-box setup isn’t the half of it. The big story with the Edge SB-1 is its adjustment capabilities. The bow is draw-length adjustable from 15 to 30 inches via an adjust-without-a-press module. The process to adjust is simple: just remove the three set screws from the top and bottom modules, slide the module to your desired setting and replace the set screws. On both the top and bottom cam there is a laser-engraved mark to show exactly where you want to line up your draw-length number. Each module allows adjustments in ½-inch increments, and each cam is marked with numbers 15 through 30, representing the draw-length range of the bow. 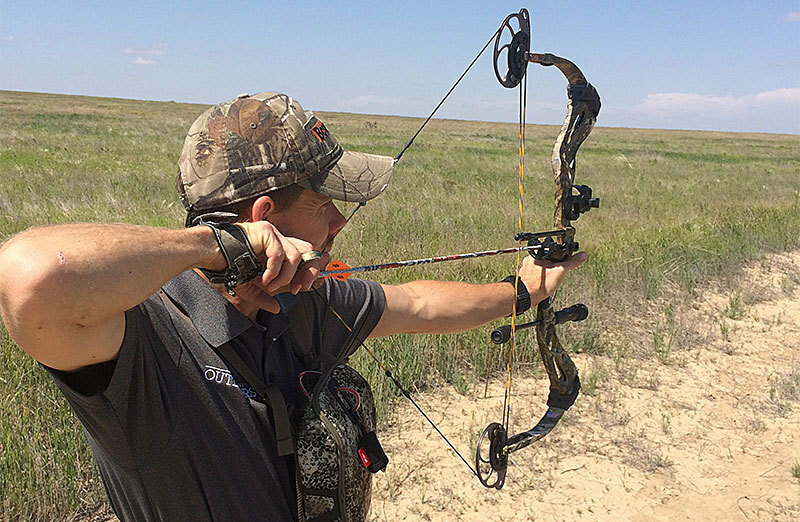 When it comes to making draw-weight adjustments, the bow is adjustable from 7 to 70 pounds. The limb bolts turn like a dream, no chattering or popping, and the EZ Adjust Limb Pockets make knowing just where you are in your adjustment process a snap. Both the top and bottom limb pockets are labeled with a MIN and MAX rating, and between these words are a number of marked lines. This allows you to know exactly where you’re at in your draw-weight range. The bow has no draws stops, but I didn’t find that to be much of a problem when shooting the bow. Measuring 31 inches axle to axle and weighing just 3.6 pounds, the bow is compact, yet felt balanced at full draw. The 7-inch brace height is forgiving and will be appreciated by less experienced shooters. The bow, even when set at 70 pounds, draws with a silky smoothness, and transition to letoff is super smooth. At the shot there is a little noise – nothing severe, but you will notice it – and the bow jumps forward in the hand a bit. How much? I shoot an open grip and no wrist sling and I had zero trouble keeping it in my hand, so not very much. The bow was out-of-the-box accurate (check out the video). Before going to the range, all I did was install my peep sight, check my timing and fire a few arrows through paper. My first shot on the range at 20 yards was perfect as far as up and down, but was about 4 inches left. I had the bow stacking arrows out to 50 yards in less than 30 minutes. I was impressed with its accuracy, and the grip on the bow feels more like one would expect from a flagship rather than a bow with a $449 price tag. This is the type of bow you can purchase and grow with.